Abbas unveils new pre-talks demands: weapons, terrorist release, and a full freeze on new Israeli housing in Judea and Samaria. 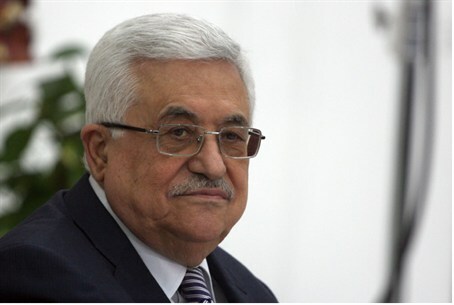 Palestinian Authority Chairman Mahmoud Abbas has added to his pre-negotiations demands. After telling Prime Minister Binyamin Netanyahu to choose “between peace and settlements,” he has reiterated his demand for a full construction freeze, but has added demands that Israel release terrorists and add arms to the PA police force. “We recently told them that if Israel accepted to free prisoners and allow us to re-arm the police then we would again sit at the same table as Netanyahu,” Abbas said at a press conference in France. Abbas also defended his demand for a complete construction freeze, saying it was not a true precondition. Most of the world considers Israeli construction in Judea (Yehuda) and Samaria (Shomron) illegal, he said. If his demands are met, the path to true negotiations is not yet over. “If Mr. Netanyahu agrees…. Then we will establish a dialogue, but that doesn’t mean a negotiation,” Abbas clarified.